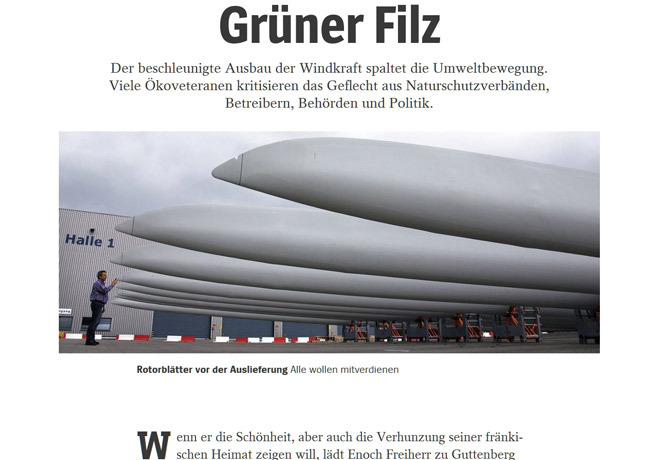 The latest hardcopy issue of flagship news magazine Der Spiegel reports how Germany’s green energy revolution has bitterly divided the country’s environmental movement. Enoch zu Guttenberg, one of Germany’s most prolific environmentalists has become an outspoken critic of wind energy in Germany, and believes children in the future will be able to see Germany’s idyllic landscape only in paintings as developers clear hill-top forests to make way for skyscraper-size industrial wind turbines. 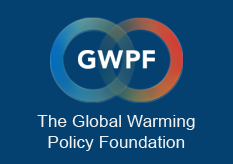 Moreover Guttenberg talks of “hundreds of local citizens’ initiatives” that are now mobilizing against wind projects. Spiegel writes of a whole “new quality” of resistance that governments now need to confront as many traditional environmentalists now rail against what they view as a “corruption of green party members, environmental groups, local politicians and city councils“.